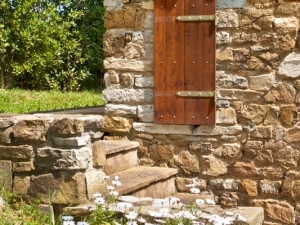 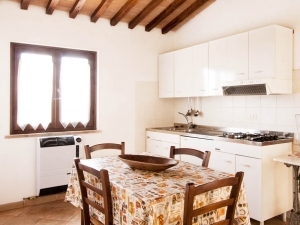 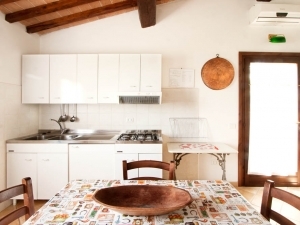 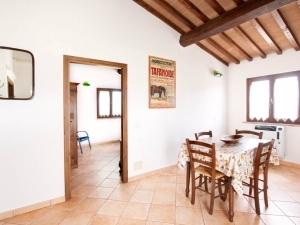 The Almond Tree apartment is a small, Tuscany style stone house. 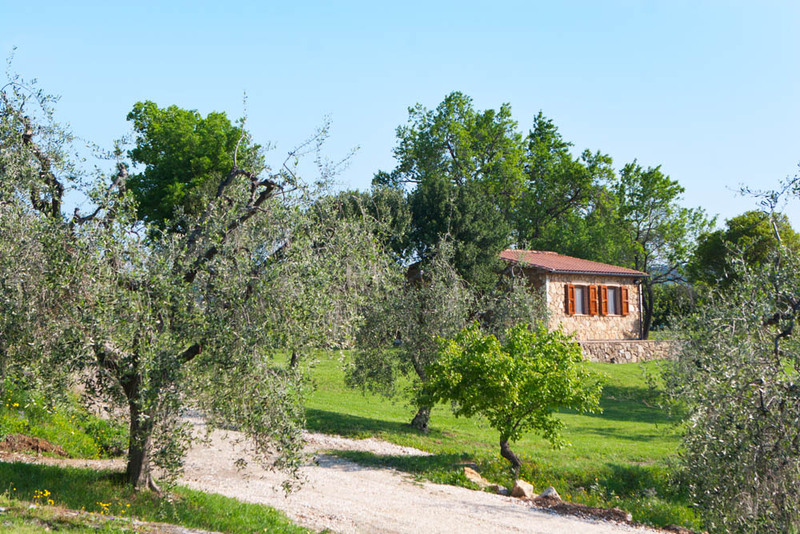 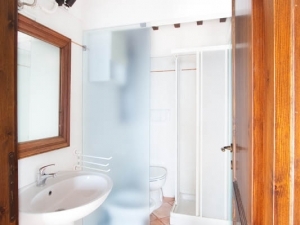 It is fully detached and located roughly 50 meters from the Poggio Diavolino Agritourism’s main house. 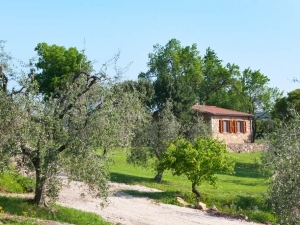 The apartment is surrounded by lawns and olive trees and is shaded by a few oak and almond trees. 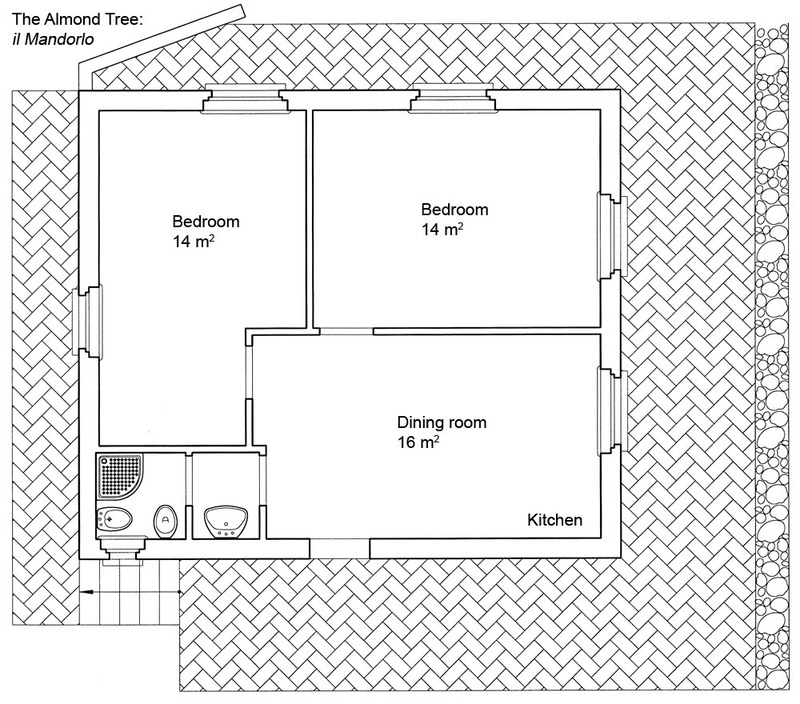 The holiday home the Almond Tree is a three-room apartment. 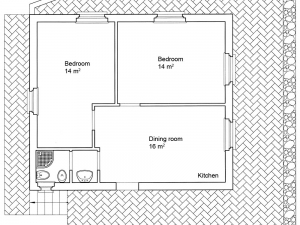 It’s roughly 47 sq.m. 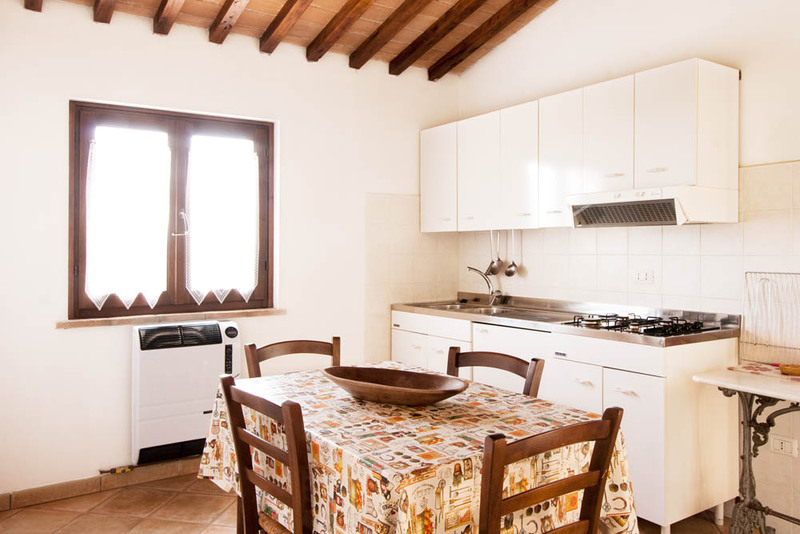 big and it is composed of a living-room with a fully furnished kitchen, a bathroom and two bedrooms with two beds in each room. 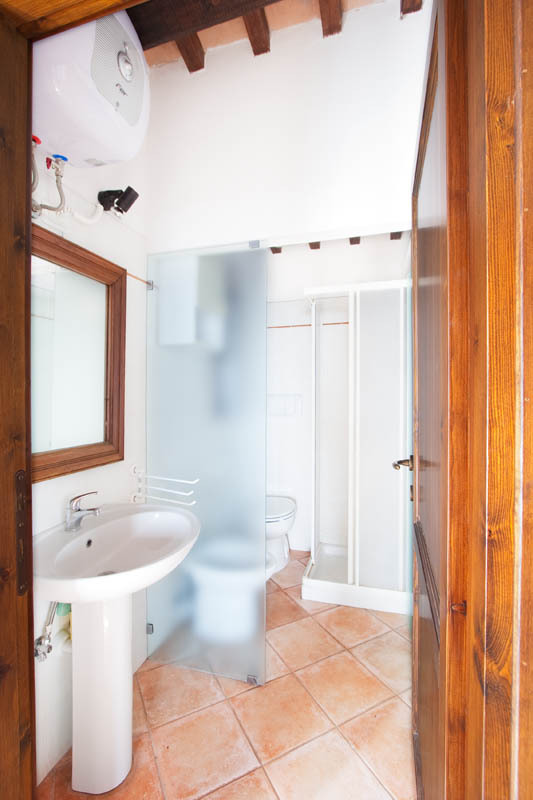 There is also the possibility of adding two beds for children under the age of 12. 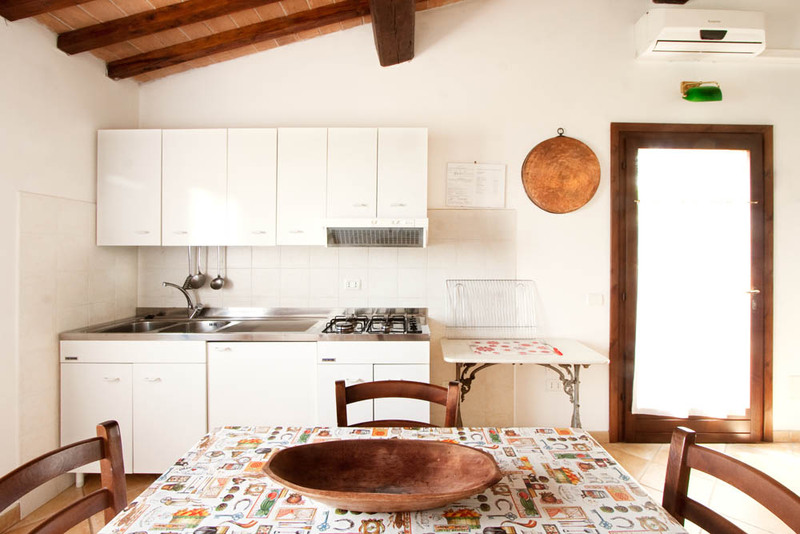 The apartment comes with air-conditioning, a barbecue, lawn table and chairs and outdoor lounge chairs. 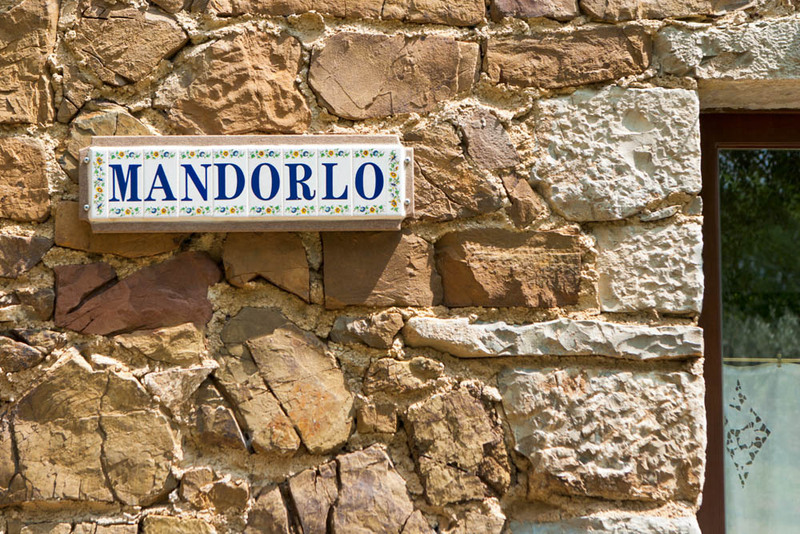 All animals are welcome at the Almond Tree and they can enjoy the spacious areas all around the holiday home. 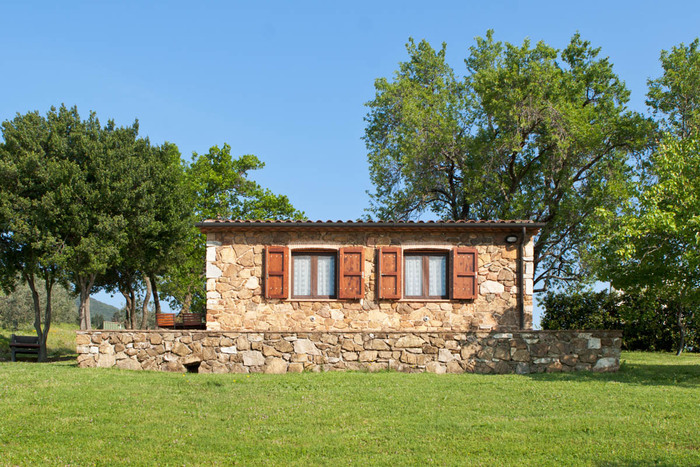 The holiday home was completely renovated on top of the ruins of the oldest of the Poggio Diavolino farmhouses. 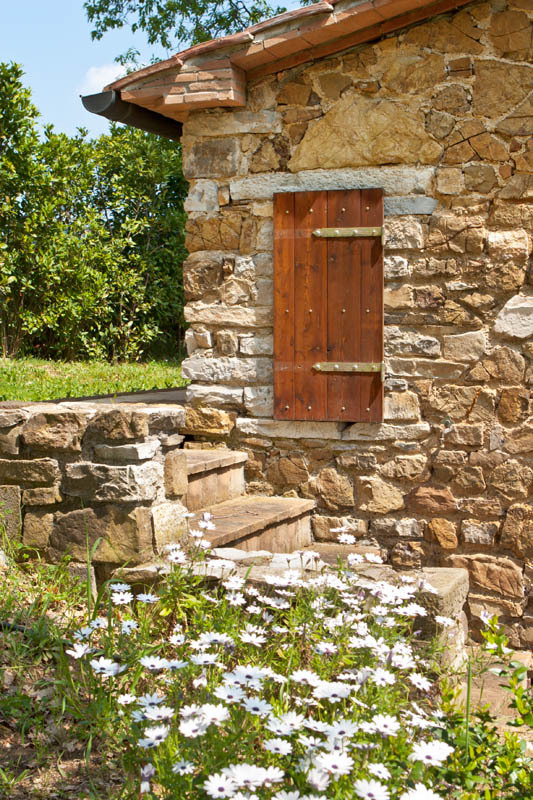 The hand-chiseled stones which were recovered during the renovation can still be seen in certain areas of the house such as the corners, the architectural elements of the main door and some of the windows. 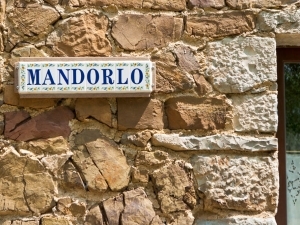 The name of the apartment derives from the monumental almond tree found next to the house; as a matter of fact it was customary to plant dry fruit trees beside houses in Tuscany. 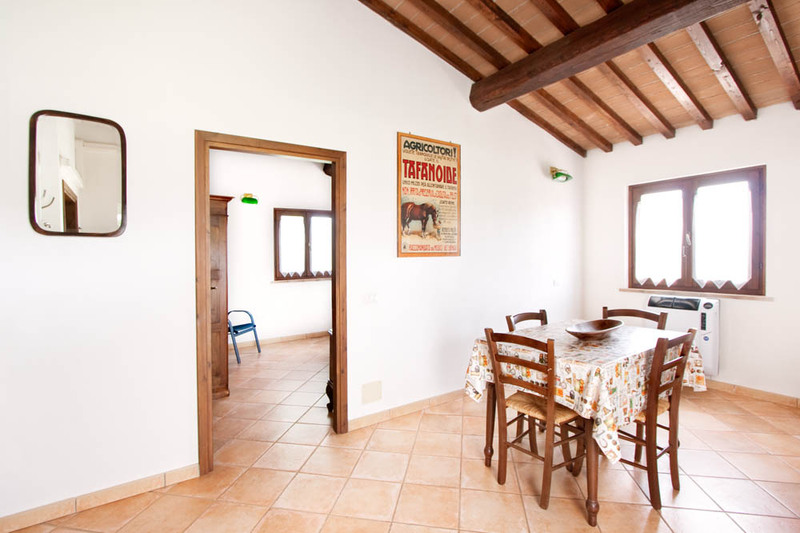 From the apartment’s terrace you can enjoy the panorama of the Val di Cornia and the tranquility of Tuscan evenings. 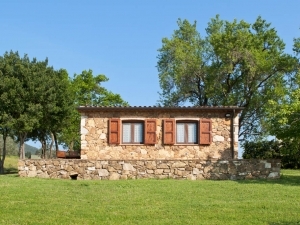 View the rates of every holiday home.